When I look at some people’s bug out bag lists, I have to wonder how they’re going to carry it all. 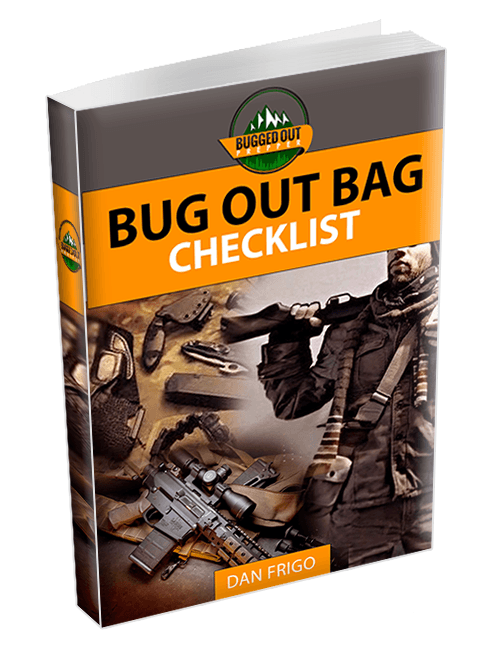 It’s easy to go overboard on a bug out bag, especially when you consider that you don’t really know how long you’re going to be out in the wilderness. However, every ounce of extra weight you carry is going to eat into your body’s energy reserves and slow you down. If you’re not careful, that extra weight can hinder you, more than help you. Seasoned backpackers say, “The lighter the pack, the more enjoyable the journey.” However, they’re going out for a week or less at a time; with the expectation of going home at the end of their trip. So, the criteria that apply to them, really can’t apply in the same way to bugging out. Even so, it can work as a starting point. Looking at several websites for backpackers, it seems that ideal weights for backpacks vary a bit from one person to the next. Obviously, the physical condition and stamina of the individual is a factor that needs to be considered. However, most of these backpacking experts seem to favor a backpack that’s 1/6 of the person’s body weight. One-sixth of a 150 pound man is 25 pounds. But 1/6 of a 220 pound man is 36 2/3 pounds. The problem here is that the 220 pound man probably isn’t n as good a shape, physically speaking, as the 150 pound man. So, if we go just on body weight, we may be hurting ourselves more than we expect to. There are a few who advocate 1/4 of the individual’s body weight as a maximum weight. That actually seems more realistic to me for a bug out bag. This isn’t a pleasure trip, but rather bugging out to survive. That’s going to dictate carrying some things that are going to make your weight go up. It is said that “the proof of the pudding is in the eating.” I think that’s very applicable to the bug out bag. Pack a bag with 1/4 of your body weight and see how far you can walk with it. If you can’t walk several miles, without feeling that you’re going to die, then it’s too much; regardless of your body weight. Try the same thing with a bag packed to 1/6 of your body weight. Then, adjust the weight to find a point that works for you. Make that your target weight. Okay, so how do you get your bag weight down to the point of your target weight? First of all, realize that some percentage of that weight is food. You’re going to eat about two pounds of food a day. So, if you’re just a couple of pounds over, I wouldn’t worry about it. You’re bag is going to be under your weight limit all too fast. Look through your bag, asking yourself the question, “Do I really need this?” You’ll probably find some things you’re carrying because someone said you should or because you thought it was a neat gadget. If you don’t really need it, it’s time to get rid of it. The next thing to do is to look for places where you can combine equipment to save weight. Simple things, like replacing a pair of pants and a pair of shorts with a pair of pants that have removable legs, will save you precious ounces. The best savings for things like this are your heavier items, like tools. A combination hatchet, hammer and crowbar is lighter than having a separate hatchet and hammer. Finally, look for ways of replacing equipment with lighter weight alternatives. Good backpacking equipment is extremely light; that’s a lot of what you’re paying for. So, take everything out of your pack and weigh each piece individually, preferably on a postage scale. That will tell you your heaviest items. Then go looking for lighter weight items to replace those. You can always sell your old items to someone who isn’t as concerned about weight as you are. Let’s keep the discussion going. 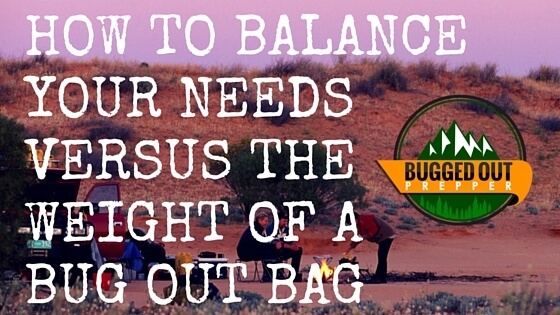 Comment below with how much your bug out bag weighs.